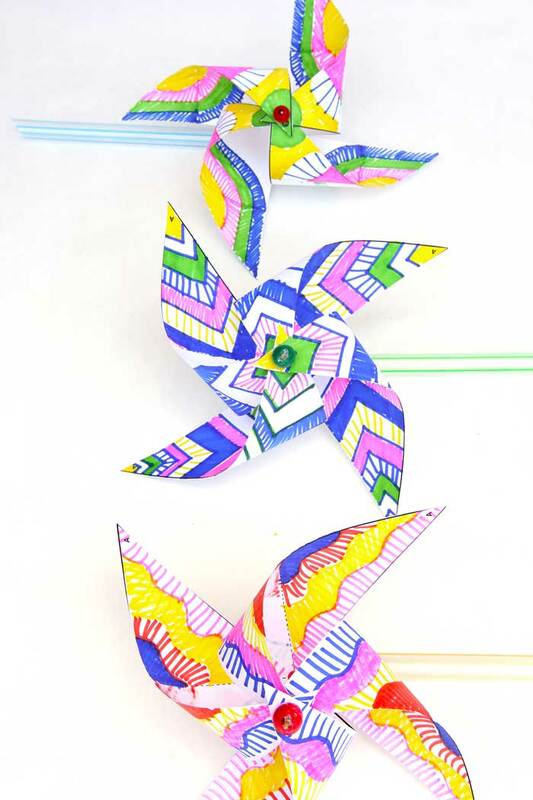 You probably already know that I love kids paper crafts. 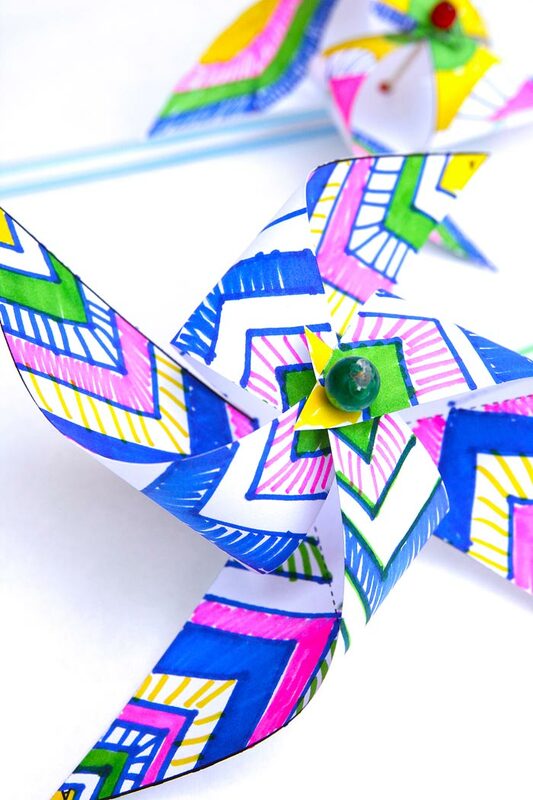 I love transforming a sheet a paper into something special and for today’s project we are going to tackle a classic: Pinwheels. 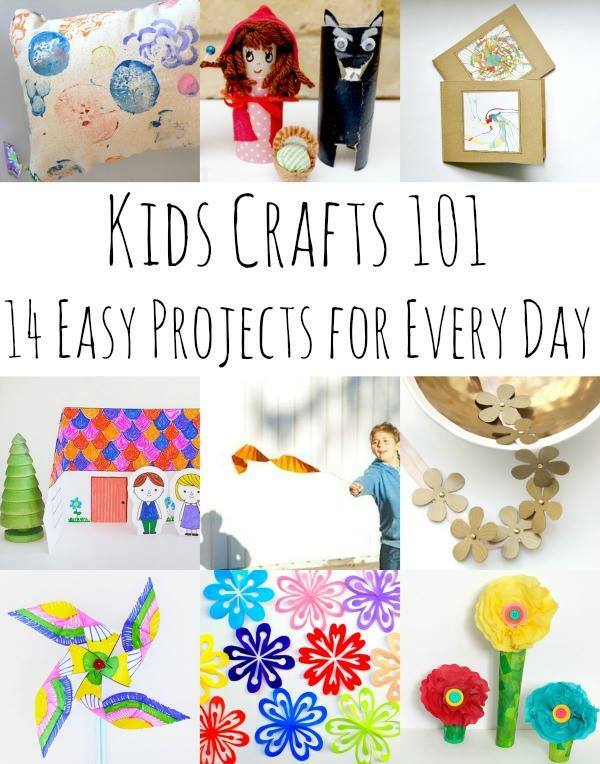 This project is part of the Kids Crafts 101 Series, 14 easy children’s crafts made with everyday materials. 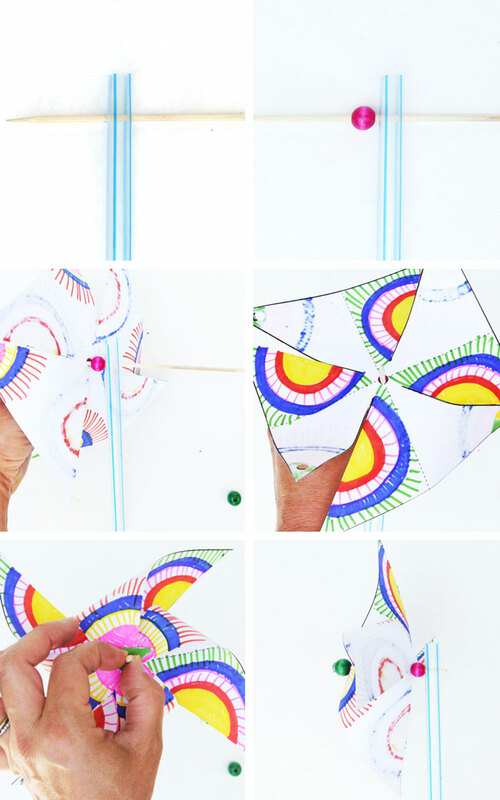 Pinwheels are a great springtime project, perfect for a breezy spring day. And because I love exploring the way designs look when spinning I turned ours into an Op-Art drawing exercise. 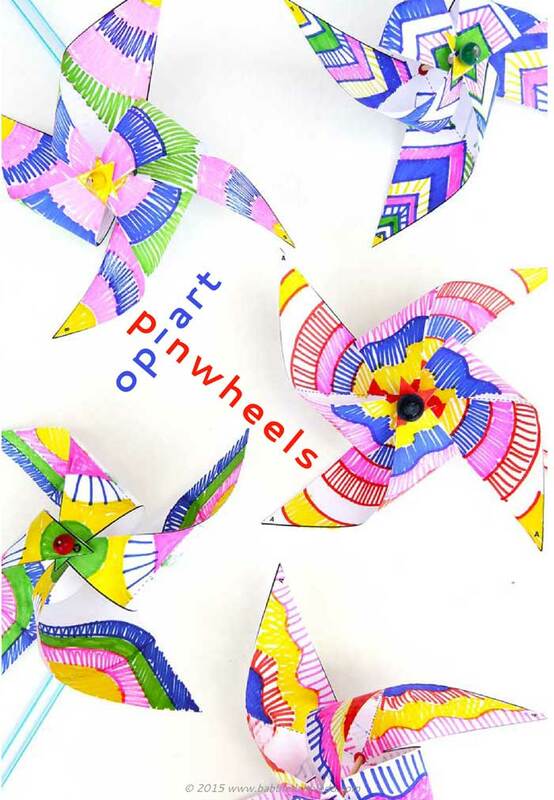 I want you to explore how different designs look when the pinwheel spins! Step One Print and cut out the template. Cut along the solid lines making sure to stop short of the center as shown. Step Three Turn over and decorate the areas shown as “B on the pattern guide. Step Four Punch a hole though the black “B” circles and one through the center of the pinwheel. Step Five Trim your skewer to be 2 1/2” long. Pierce the straw about 3/4” from the top, leaving about ¼” visible on the backside of the straw. Step Six Place a wood bead on the skewer. Step Seven Thread the pinwheel onto the skewer through the center hole with sides “A” facing up. Gently fold and thread each “B” flap through the skewer. Step Eight Thread a bead onto the end of the skewer and secure in place with hot glue. 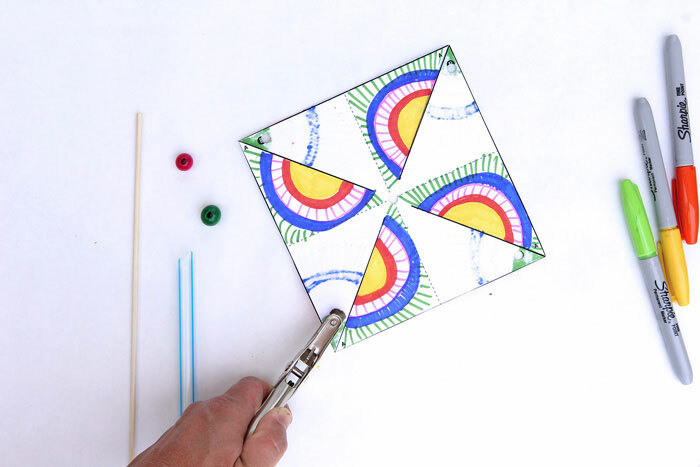 The bead should be at the end of the skewer leaving plenty of room for the pinwheel to move. Use milkshake straws. Regular straws are too flimsy. 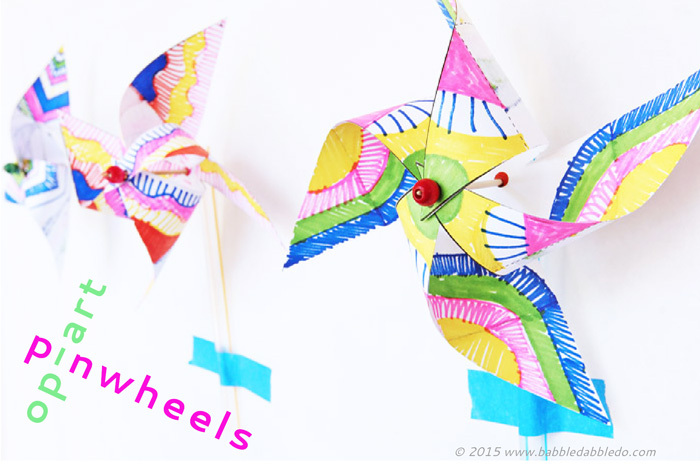 Make sure there is platy of room for the pinwheel to rotate. 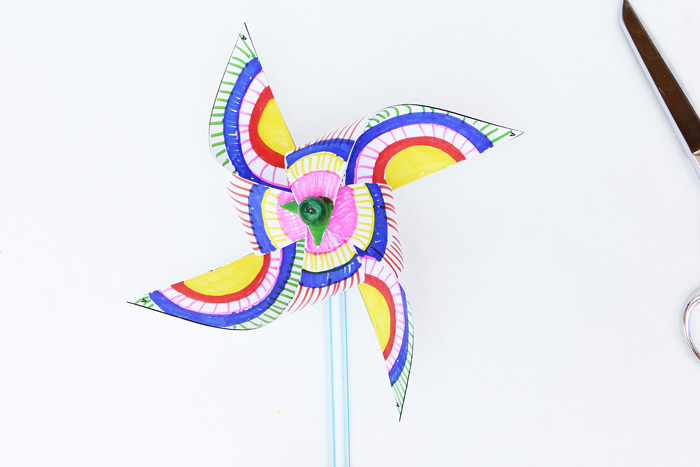 You don’t want to bunch up the pinwheel or it will get caught on the straws as it tries to rotate. Experiment with the designs and colors. When these rotate the designs look circular. If you enjoyed this simple craft for kids then I have 13 more projects for you in this series but some of my favorite bloggers! 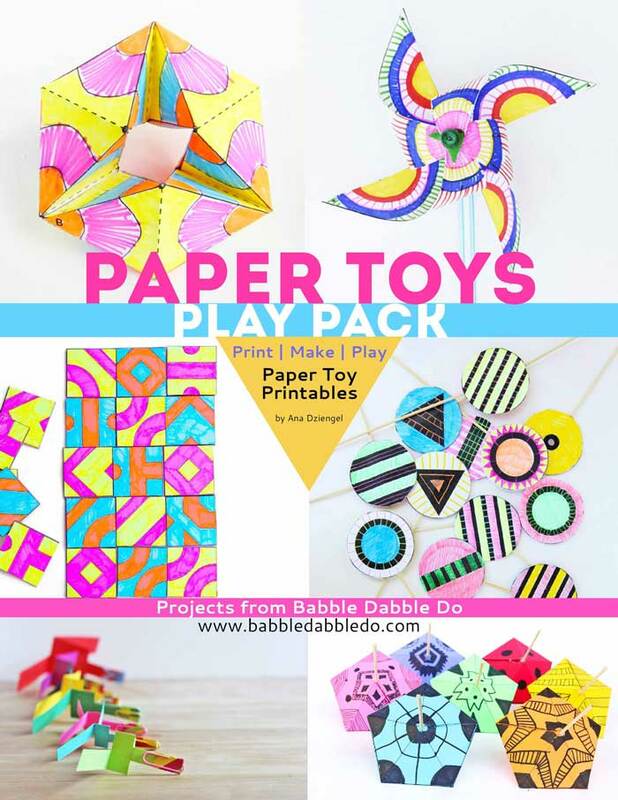 Have you seen our PAPER TOYS PLAY PACK? 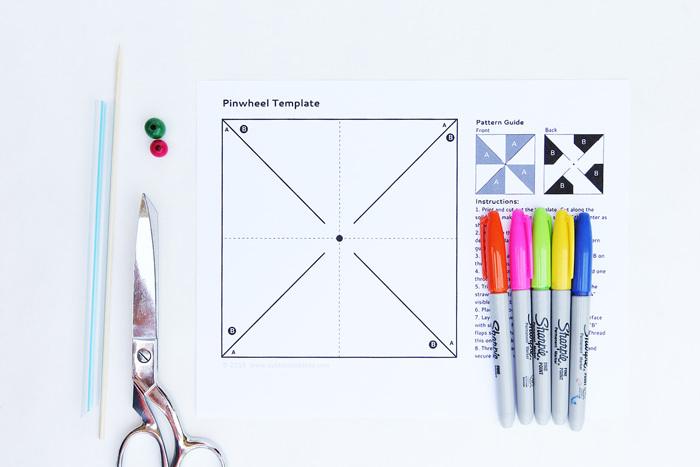 It includes 7 paper toys you can download, print, and play with today! Totally LOVE this website. Its amazing! 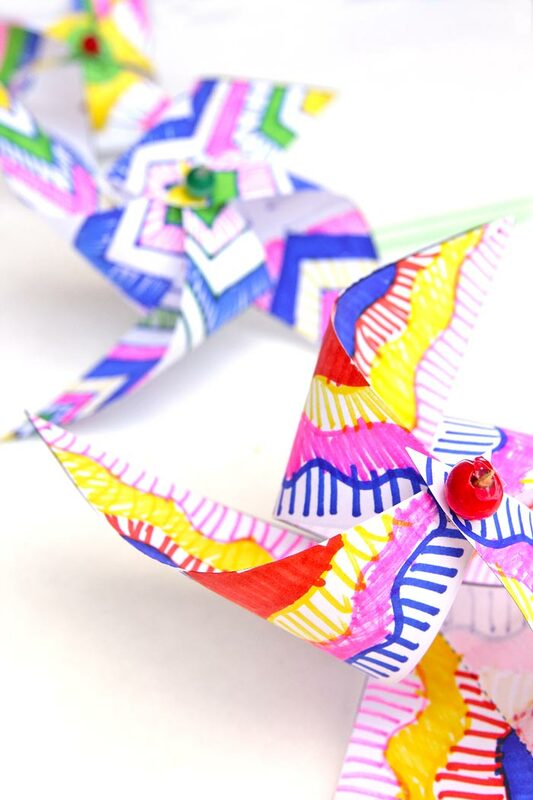 This looks like such a fun art project! Kids make the best art. I’d love to see what a professional artist could do with this concept.